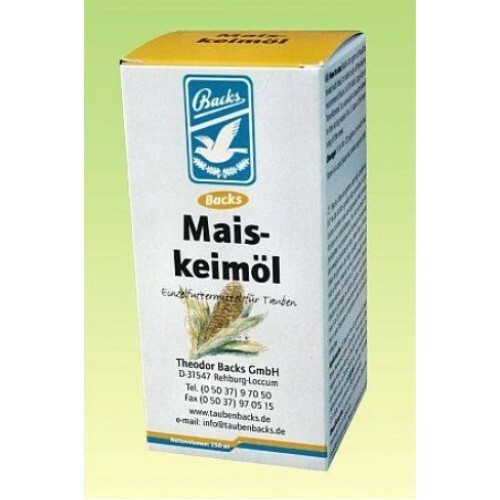 Mais-Keimol 250 ml and 500ml by Backs is corn germ oil, rich in unsaturated fatty acids, so it contains more than twice the energy of carbohydrates, 100% natural. - It contributes great amount of energy to the organism. - Mix 5 ml of corn germ oil with 1 kg of food. Once well mixed, dry by sprinkling a spoonful of Backs Extra Energy. In this way we increase the effectiveness of the product.